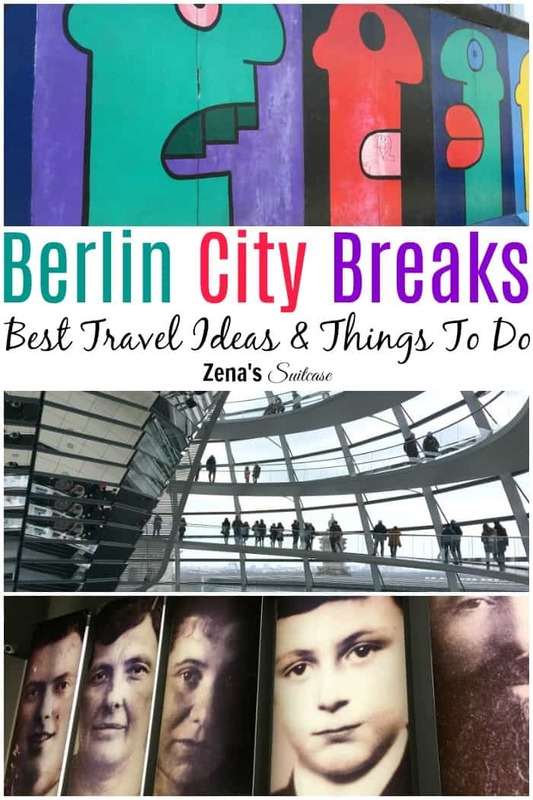 If you follow the Zena’s Suitcase Instagram account, you’ll already know that I’ve had quite a few Berlin city breaks over the past 18 months. I’d like to think that this makes me an expert when it comes to things to do in Berlin during a weekend away. With a flight time of less than 2 hours from the UK, Berlin is a great city to visit in Europe. It’s also a place that is important to go to if you care about people and politics, as there are some lessons to be learned in Berlin that should never be forgotten. There are two airports you can fly to for Berlin city. Berlin-Tegel is the closet to the city and there are excellent transport links to reach the centre. I recommend getting a Berlin Welcome Card before you arrive in Berlin as this will give you to access to all the buses, trams, S-Ban and U-Ban. The Berlin travel guide also has some great inspiration for places to visit in Berlin and is packed with discounts to various attractions. Berlin-Schönefeld is slightly further away, but again the transport links are really good and you will be in central Berlin in less than an hour. On this visit to Berlin I flew from Birmingham Airport to Berlin-Tegel before heading to the Hampton by Hilton in Alexanderplatz by bus. It was a really straightforward trip and you won’t have any trouble getting around if you use Google Maps or an app like Citymapper. I arrived at the hotel around 10.30am, which gave me the full day to explore the city. I had got plans to drop off my bags and head straight out again, but fortunately my room was ready and the receptionist told me I was welcome to get some breakfast from the buffet as it was still open. I really appreciated the opportunity to get some food and a coffee before going to explore Berlin and I thought this was excellent customer service from the hotel. 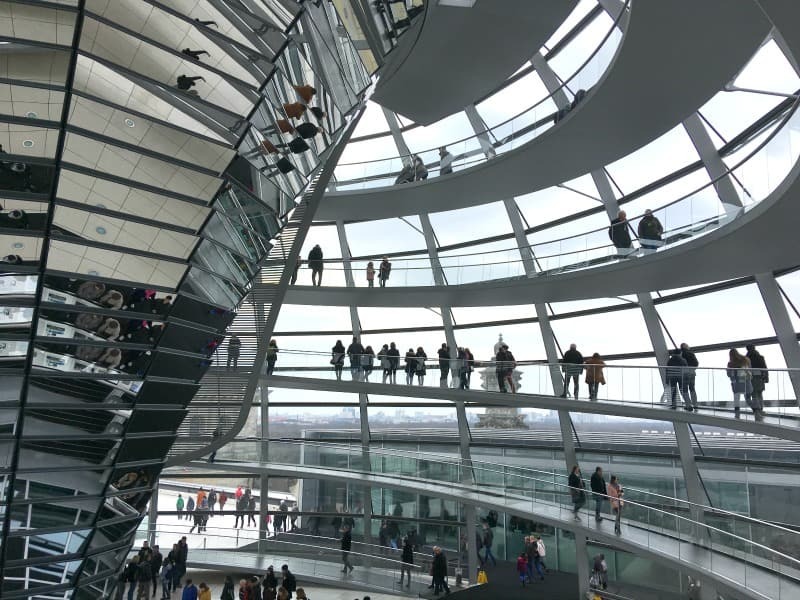 During this trip to Berlin I was determined to make it inside the dome at the Reichstag. If you take a peek at my last visit to Berlin you’ll find out that I never actually made it inside. If you want to go inside the Reichstag, you need to book a slot at least 2 weeks in advance but tickets are free. You will also need to take your passport with you to pass through security. You can book a slot when you arrive, but there is quite a queue for tickets and the time slots available are the least popular times. I can throughly recommend visiting the Reichstag for a few reasons. Firstly you get the chance to look down on the German government, which in itself is pretty incredible. Also the structure of the dome is stunning and you walk all the way around it to the top. You are also given a tour guide which helps with pointing out the various landmarks you can see from the dome. It’s a great chance to see the most incredible 360 views over Berlin city especially on a clear day. When I first visited Berlin, I went to the Memorial of the Murdered Jews of Europe, but I never actually made it inside the Information Centre. It is a 5 or 10 minute walk from the Reichstag, past Brandenburg Gate to the Memorial. Seeing as it was so close I decided to head back there with a view to going inside the museum. The Information Centre is free to enter and I queued for about 20 minutes to go inside. Once inside, I was taken on a powerful and emotional journey discovering the stories of those people who lost their lives in concentration camps across Europe early last century. This is an important place to visit while you are in Berlin as it’s a strong reminder of the dark places human nature can go if the wrong people gain political power. 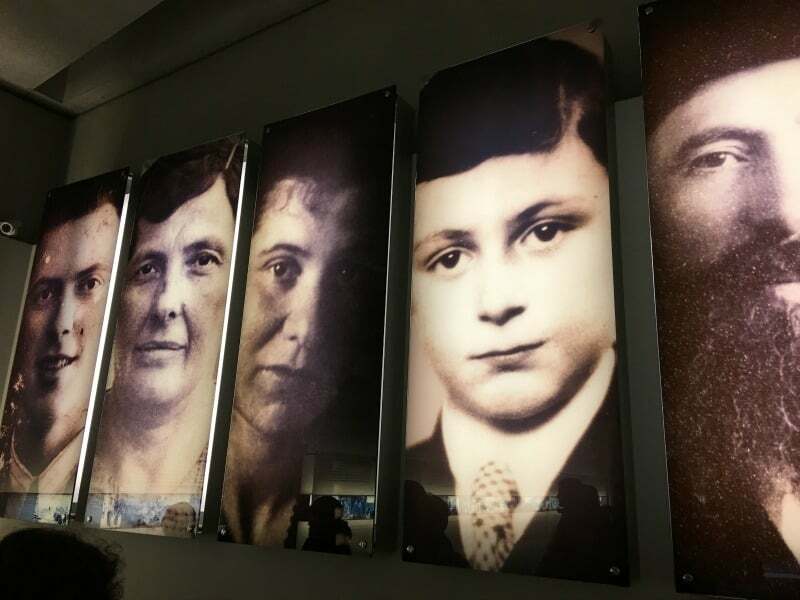 Over 6.5 million jews, gypsies, homosexuals and other minority groups lost their lives during this particularly dark period of European history and there are lessons here we must never forget. It is an emotional experience, but one of the beautiful things about travelling to Berlin is it’s a rollercoaster ride all of it’s own. We all know that Germany is famous for beer, and it can certainly play a part in any Berlin city break, regardless of who you are travelling with. On this day I was actually exploring Berlin on my own, and I decide to head back to the hotel in Alexanderplatz before getting ready to go out for the evening. 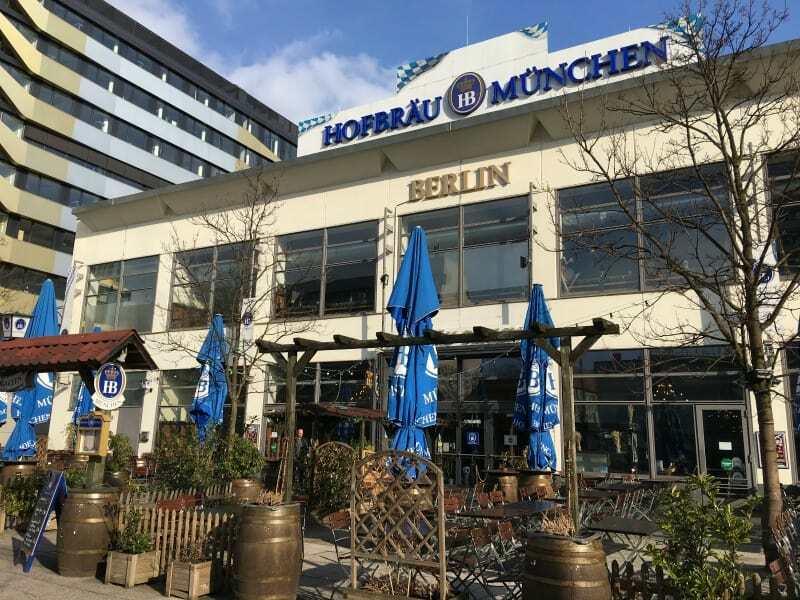 The sun was shining, and as I passed the Hofbrau Munchen Bier Keller near Alexanderplatz, I felt pretty compelled to pop inside. It was fun and very traditional, so I decided to take a seat at the bar and just do a little people watching over a stein. Everyone seemed to be having a lot of fun, and I can imagine if you are on holiday with friends it’s a great place to visit for food and beer. 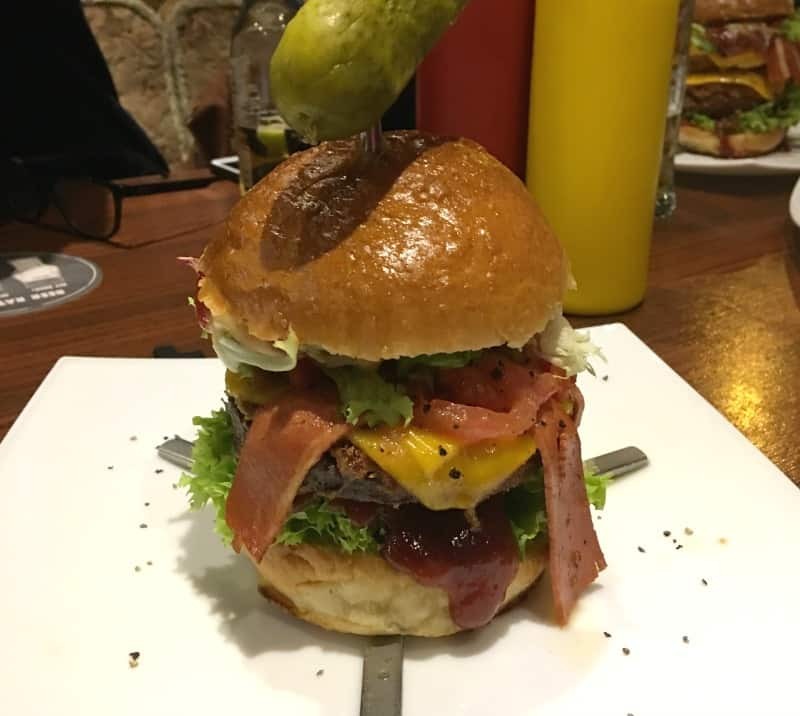 If you are looking for places to eat in Berlin then do check out Lily Burger. It’s a popular restaurant so booking in advance is pretty essential, but they make awesome burgers. If you are vegan or vegetarian, don’t worry, they have you covered too. 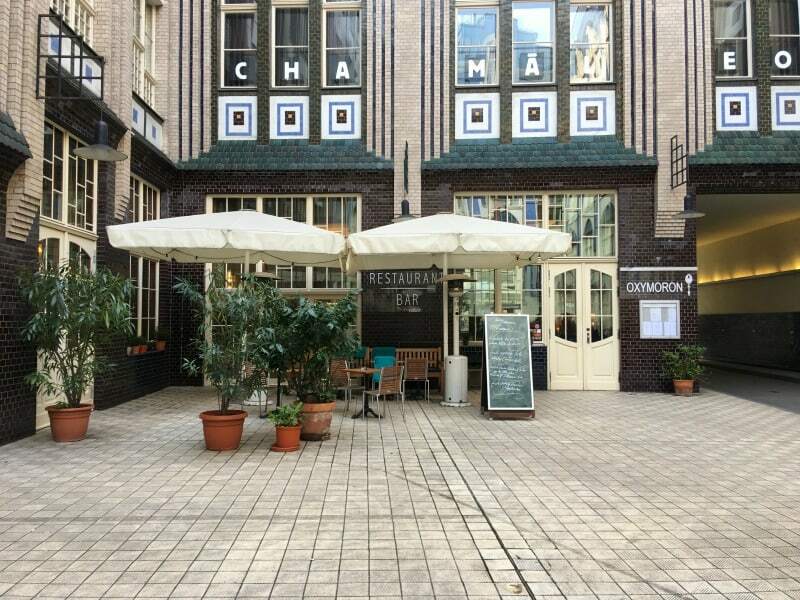 If you are looking for things to do at night in Berlin, then you really need to add a visit to the CHAMÄLEON theatre to your list. 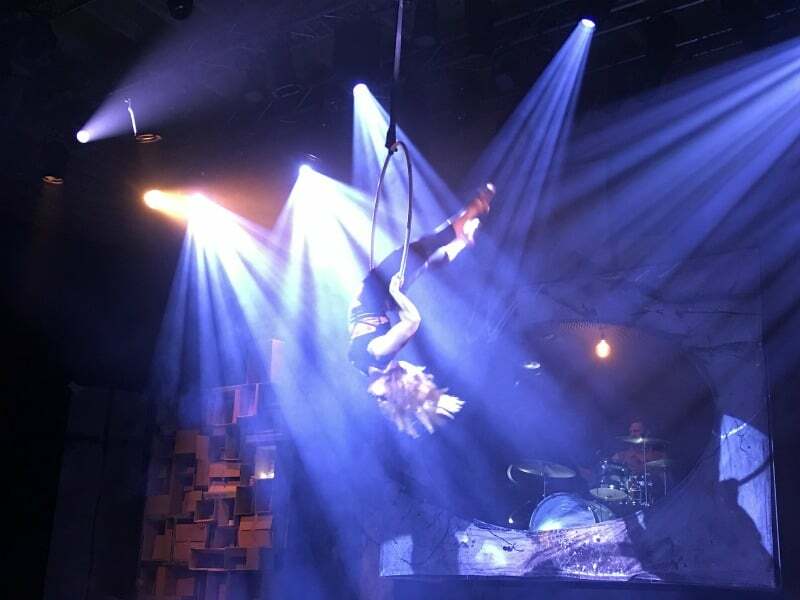 We were invited to Berlin to see the latest show, FINALE, and it was spectacular. You can read my review of Finale the show here. 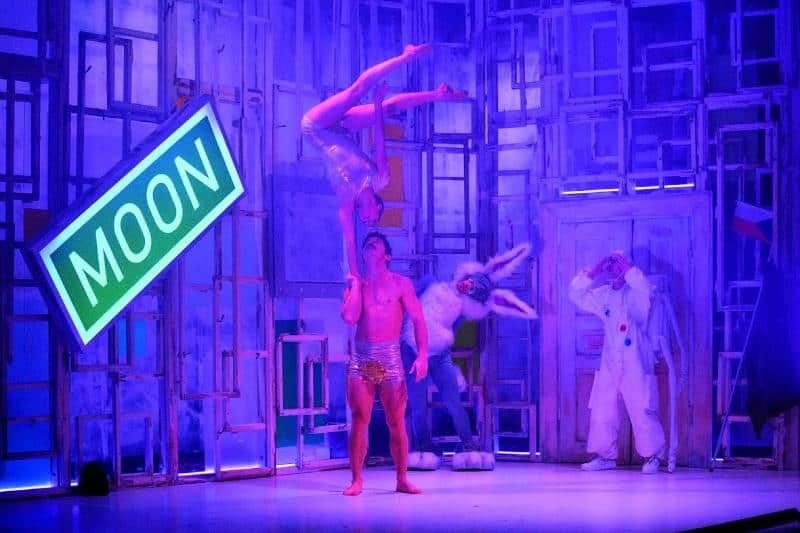 CHAMÄLEON prides itself on showing the very best in new circus, and as such the performances are perfect for an international audience. 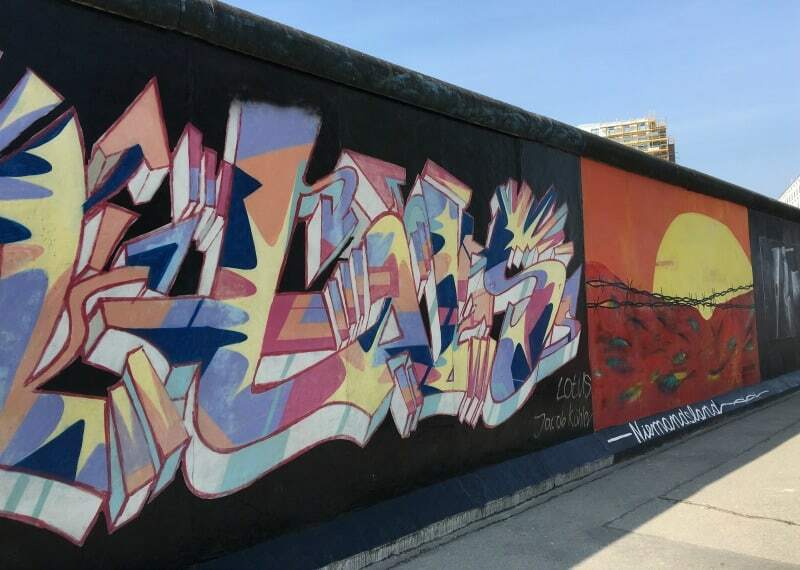 A visit to the East Side Gallery is perfect for a Sunday morning stroll in the sunshine, especially after a late night. I caught a bus from Alexanderplatz and jumped off at the stop before the East Side Gallery. If you do this, it gives you the chance to walk all the way along the gallery. The artwork is varied, colourful and thought provoking making it perfect for all types of visitors. When you reach the end of the East Side Gallery, carry on a little further and visit the Oberbaum Bridge which crosses the River Spree. It’s unique towers make for a great photo opportunity and you can walk across and enjoy the architecture and installations in the bridge. 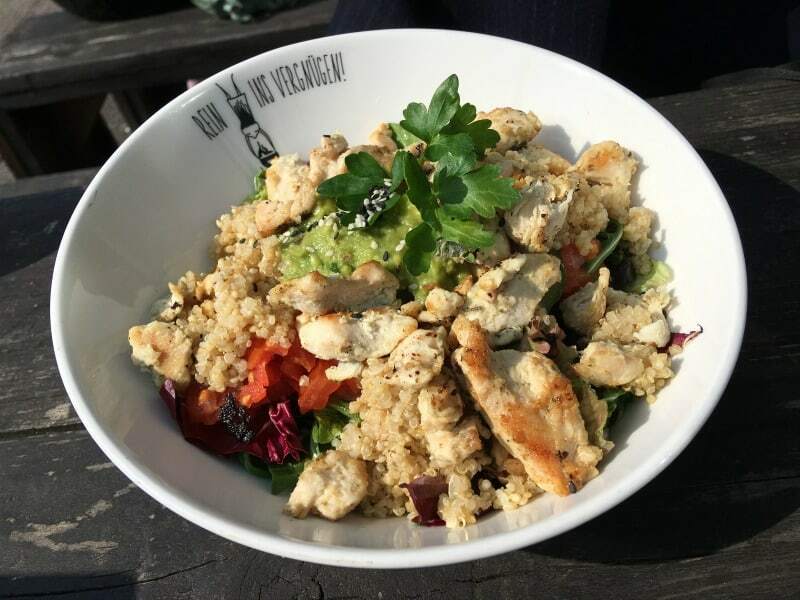 Spreegold is a highly recommended cafe that serves delicious fresh food all day. It’s pretty popular, so you might have to wait but it will be worth it. It’s great for coffee and cake as well as breakfast, brunch, lunch or dinner. If you want to experience what locals enjoy doing in Berlin, then a visit to Mauerpark is a must, and a perfect way to spend a warm sunny afternoon in the city. Mauerpark is famous for it’s flea market and is popular with tourists looking for vintage fashion, vinyl and great street food. You will also get to see a wide range of live entertainment, and if you have time see who is brave enough to take to the stage for the bearpit karaoke set, it’s well worth sticking around. Before catching the plane back to Birmingham, we had time for a quick Aperol spritz in a lovely bar near the CHAMÄLEON Theatre. It’s called Oxymoron and the decor is stunning and incredibly regal. It’s a popular restaurant in the evenings, or you can just pull up a seat at the bar for pre theatre drinks as well. 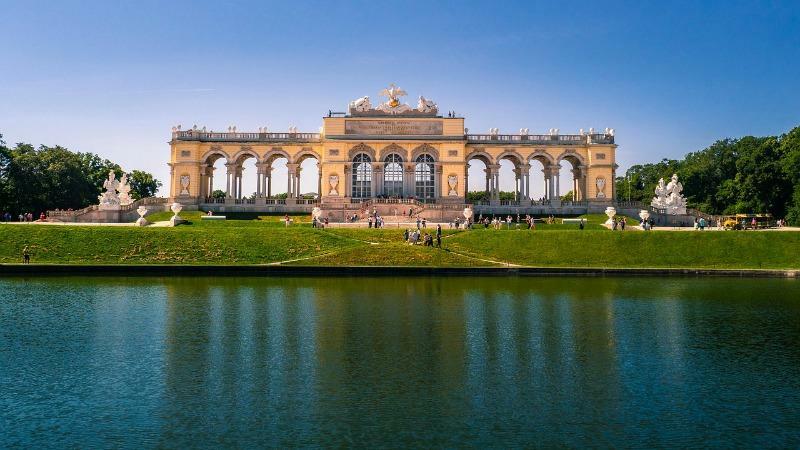 That’s it for my suggestions of places to visit for having the best Berlin city breaks this time round and I hope you are feeling inspired to visit the city with my ideas for things to do. 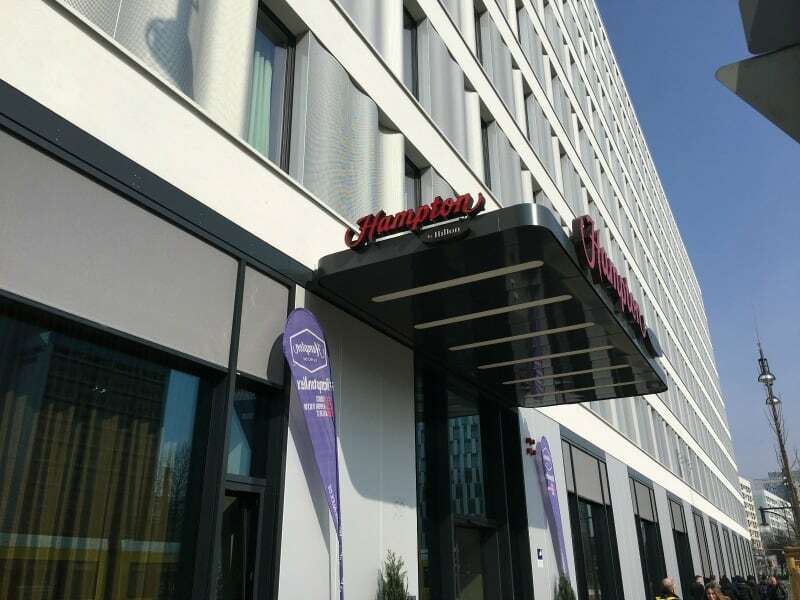 I was a guest of CHAMÄLEON Theatre, Hampton by Hilton and the Berlin Welcome Card during this press trip to Berlin, but all thoughts and opinions in this travel post are my own. 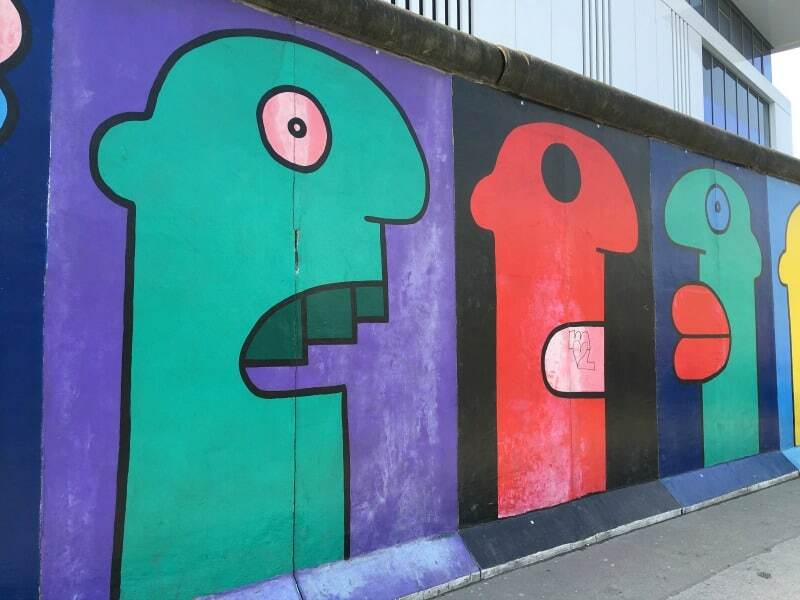 I had a bucket list of city breaks that I had in mind to visit but I should definitely have put Berlin on the list because the East Side gallery is definitely somewhere I would like to visit for obvious reasons. And I am glad to hear that Lily Burger has veggie options too! You made me think to go to Berlin. Could you please write something about Santorini (Greece)?